Arnold Schoenberg's Variations on a Recitative were first published in 1943 in an edition which gave very detailed performance instructions based on the 1928 Skinner organ in Princeton University Chapel. A restoration of this organ has made it possible to reconstruct the intentions of this edition, and this recording therefore brings the forensic practices of early music to the 1940s. In addition, there are two amazing pieces by Max Reger. 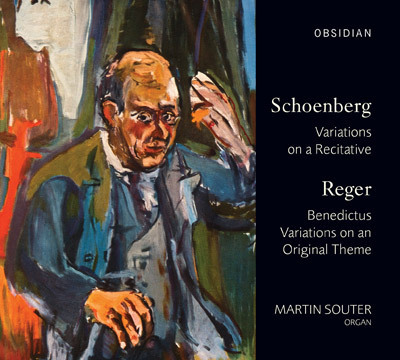 The 'Benedictus' provides a perfect foil to Schoenberg's monumental work and it is followed by Reger's own monumental piece, the 'Introduction, Variations and Fugue'.